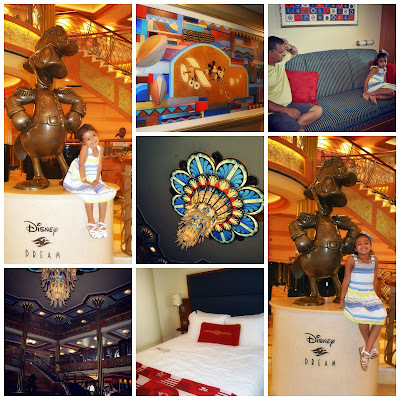 it's my girls' world: Friday Favourites- Cruising with Disney!! 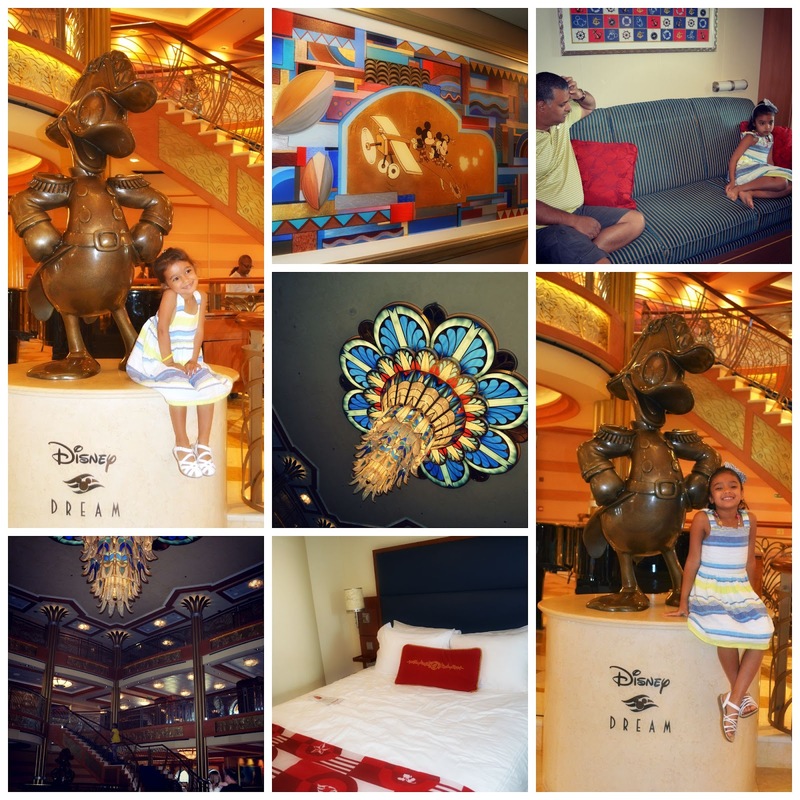 After our very hot, busy, fun Magic Kingdom adventure, we headed to a four day Disney Dream cruise (because apparently my family of four can't get enough of Mickey). My parents joined us - and fun was had by all!! Warning- picture overload…. 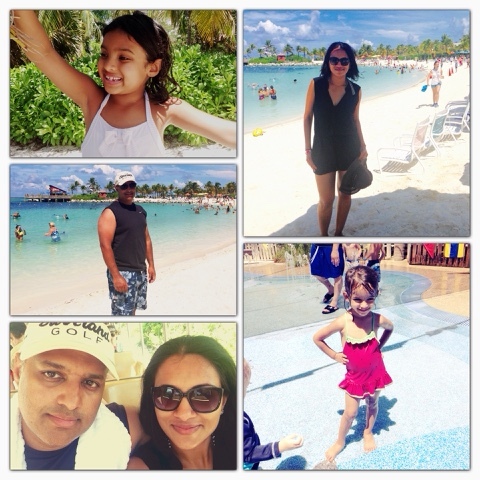 thank you insta-frame and Picmonkey for the collages created so you guys won't have to look through thousands of pics of what was one of our best family vacations! I'll preface this by saying that I thought I wasn't a cruise person--- I went on one before and it really wasn't my thing. But Disney has changed my mind. So much so that I booked us to go again sometime in 2017-- well we paid a deposit so we would get a 10% off for future cruises. 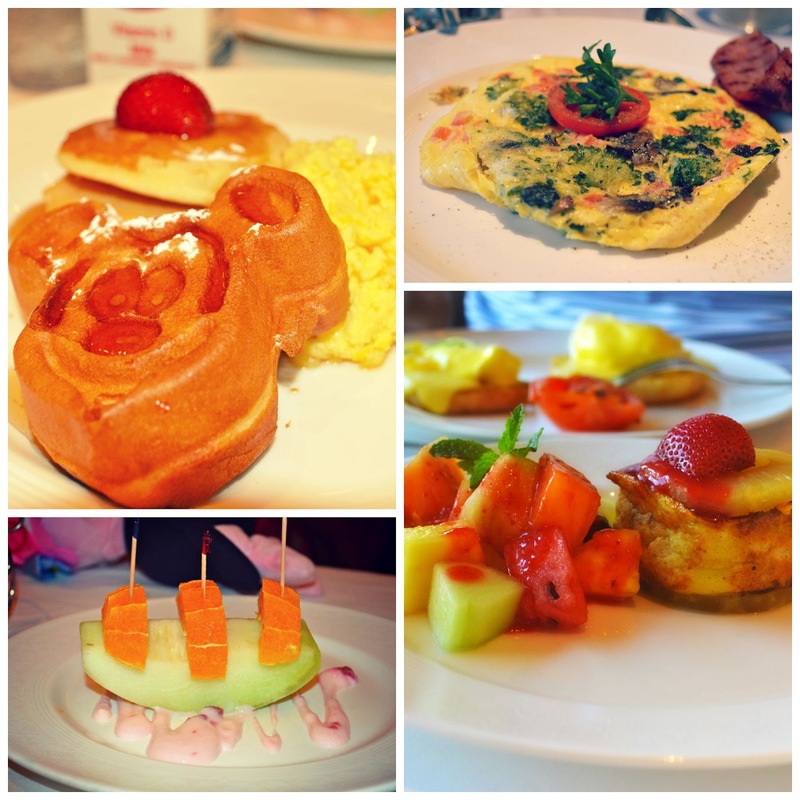 And though I was super excited to take my kids to Magic Kingdom, they preferred the cruise by a long shot-- it was the perfect combo of relaxation, excitement, food and fun. 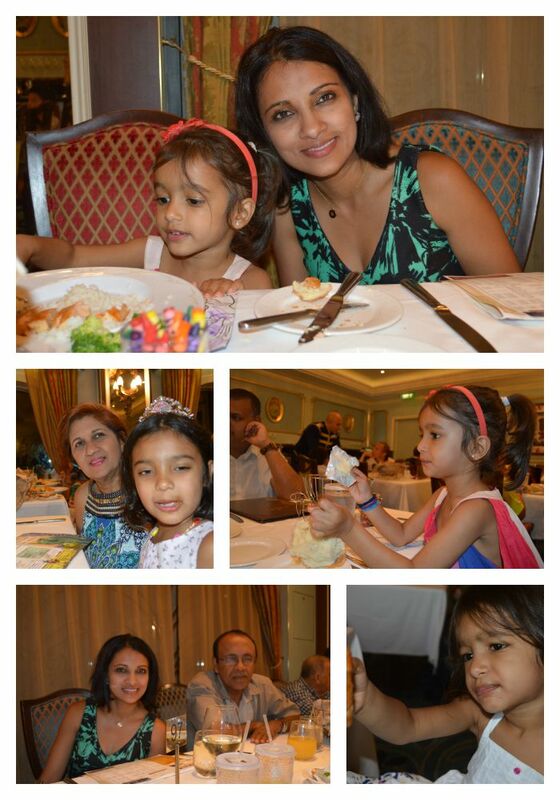 The ship was so beautiful and the staff so friendly and accomodating! There was always so much to do for both the adults and kids. Lots of kids clubs, a dine and play option (where the kids are picked up and taken to the kids club, we used it twice), a Broadway quality show every night, teen and tween clubs, adult only bars, dance parties and lots of of games/activities/ movie theatres every-single-hour of every-single-day we were there. Special tickets were needed for Anna & Elsa- obvs. Think almost an hour long line up the day we boarded the cruise for a two minute meet & greet- Crazy!! Pirate night was lots of fun. A huge dress-up deck party before dinner with characters and then dancing after dinner and fireworks! We celebrated our anniversary at Palo-- an adult only restaurant. The food was so delicious. 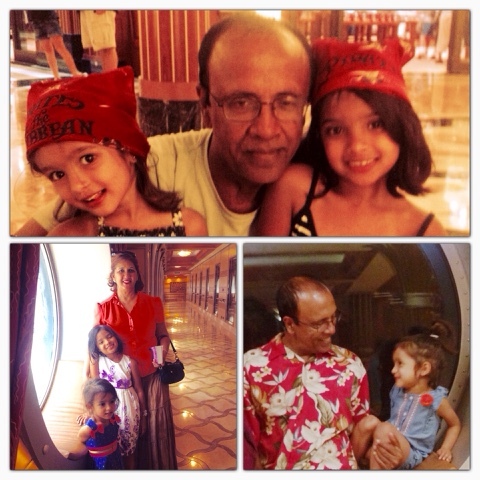 We stopped in the Bahamas one day where my dad, D and I headed to the beach-- it was one of the most beautiful beaches I've ever been to- with warm, sky blue, clear, calm seas…. 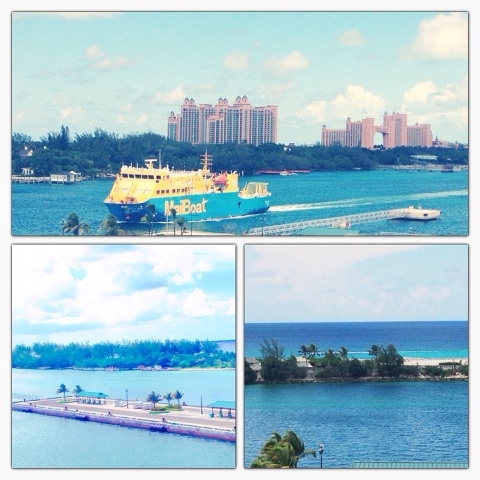 I didn't have my camera but took these pictures of the Bahamas from the ship after. We also stopped at Disney's private island. 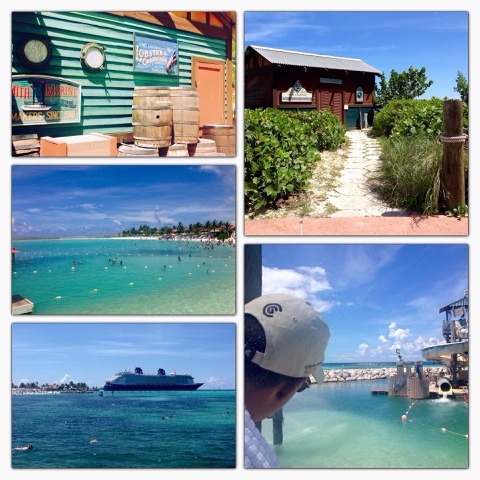 Castaway Keys for another day of sun, sea, sand, BBQ and some time at Disney's very own splash-pad! The food was so very yum-- with something to eat every single hour of every single day. I'm not an all inclusive fan as I get sick of it after a few days but this-- this was so yum!! And it was a la carte at night which to me speaks to the quality of the food as well. 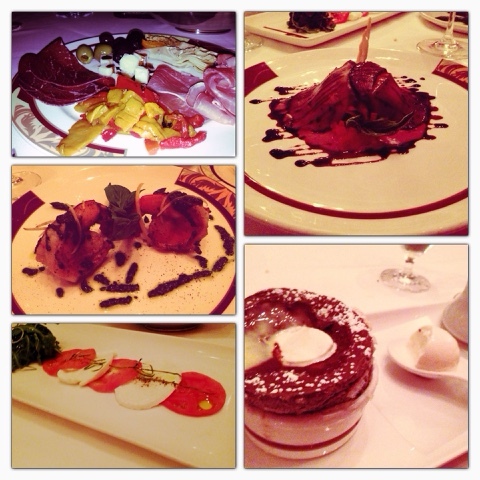 Every night we were assigned to different a la carte restaurants with so much to choose from on each menu. My parents had so much fun with their grandkids. So there you have it. A special vacation for all-- us four preferred it to Magic Kingdom. Way more relaxing but all the Disney Magic included as well. Your kids are going to treasure those memories. This looks SO fun! My husband desperately wants to go on a cruise and I keep telling him that when we have kids we will go on the disney one hahaha! Looks like an amazing trip! I have yet to go on a cruise, and I keep putting it off because "I'm not a cruise person!" OMG! I am so jealous! This looks so so fun! Great pictures! 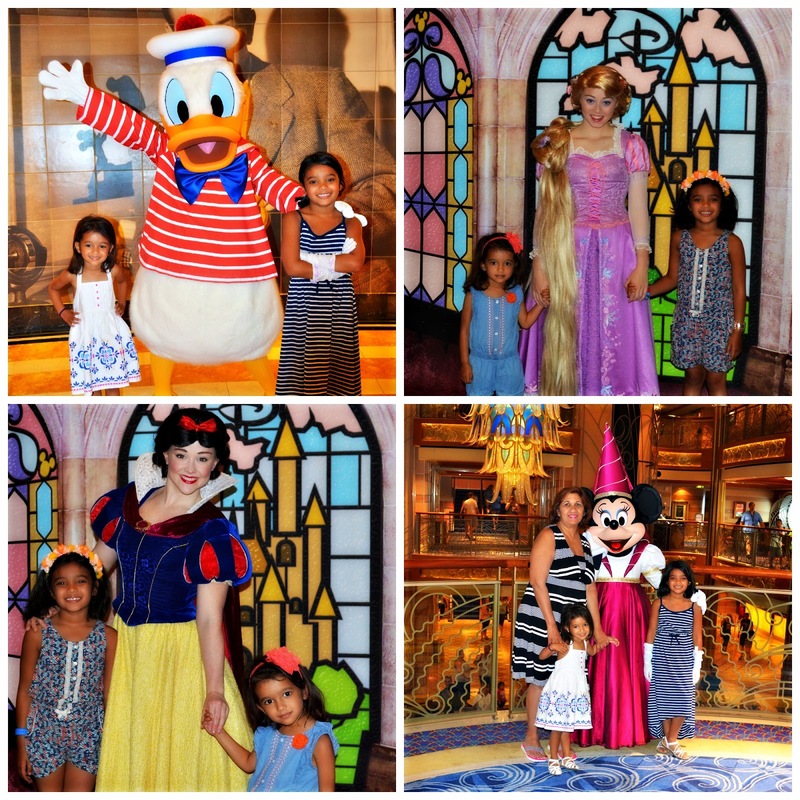 I've been on two Disney cruises with my extended family and we loved it both times! That is amazing! I've got my eyes set on a Disney cruise but when Aria is older and able to swim and do the slides and such. I've never had much of a desire to do a cruise until Disney started having them =) Such a perfect family getaway. I love MK though, but it is not what I'd call a relaxing trip ha. So fun that you went ahead and booked another right away for the discount!! I hear Disney Cruises are the way to go. You guys totally rocked this summer making some pretty amazing memories along the way. 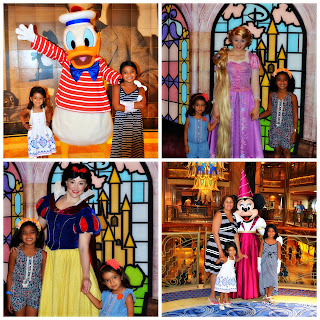 Disney cruise - it is definitely once in a lifetime experience!!! It caters for all different ages and tastes, the choice of five star restaurants for breakfast, lunch and dinner, or buffet style quality meals, fruit and salad bars, hot dog and burger stands and yogurt and soft serve ice cream machines, gym, water sports, pools, spas, and live shows, but of course the highlight of the cruise was the kids with characters like Micky mouse, Minnie, the faires and princesses, it was surely awesome!!!! So much fun! I love love love cruising! I've been wanting check out Disney cruise line, and I'm officially sold! 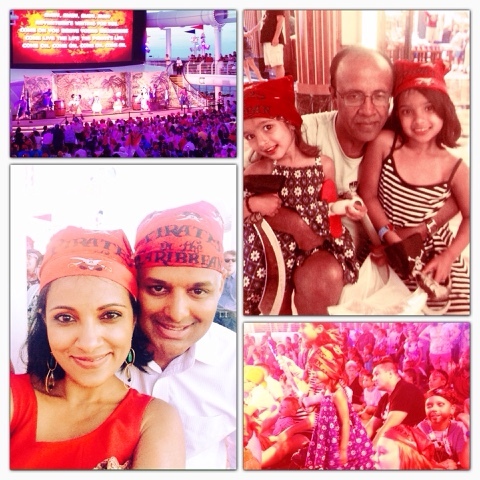 What a fun family vacation! 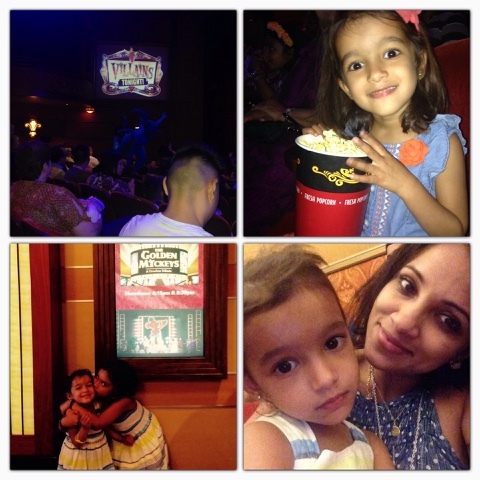 Looks like so much fun for the kids and lots of good food & entertainment! This sounds amazing! Love the pictures. Going on a Disney cruise is definitely near the top of my bucket list. I've never been on a cruise before and wasn't sure if they'd be fun or boring, but you totally sold me on this one. Disney owns their own island? What??! So cool. And all the food + activities. Definitely lots of Disney magic going on there. Looks amazing! Cruise Trend Travel Forums is an online community of past and prospective travelers, ready to offer insights and first-hand knowledge about all inclusive cruises. Don't forget to visit royal caribbean cruise forums to get more information.